Bucks County Orchid Society welcomes any and all who enjoy orchids! No need to be an experienced grower, we’ll teach you! The Bucks County Orchid Society (BCOS) is a small group of orchid enthusiasts that meet ten times a year in southeast PA to share ideas, experiences, and knowledge about orchid growing. Our membership includes beginners, experienced hobbyists, commercial growers, and AOS judges, who grow their orchids on windowsills, under lights and in greenhouses. Many bring in blooming plants for the show table. Most meetings feature a knowledgeable speaker and a plant raffle. 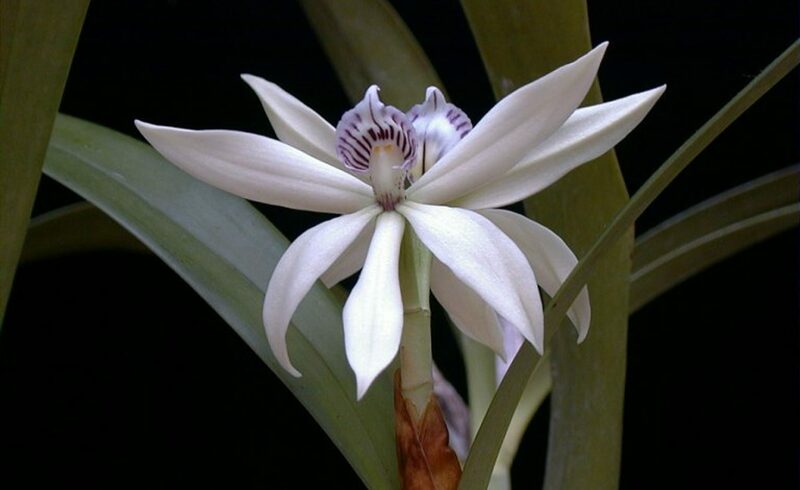 We are an affiliate of the American Orchid Society (AOS), participate in native orchid conservation projects, and coordinate our activities with other regional AOS affiliates. Each month, our members bring in blooming plants to share, and the range of genera represented is quite broad. The plants are separated into orchid families and are judged by a group of members, and maybe with a guest speaker, and points assigned for 1st, 2nd, and 3rd places in each category, grouped as “greenhouse” or “windowsill” growers. At the end of the year, awards are given for the top presenters in each category.